It has been a while since I blogged. I have been really caught up in paperwork and new projects and programs for the website. I have also made a few new projects for my book which Quiltmania is publishing in English and French. 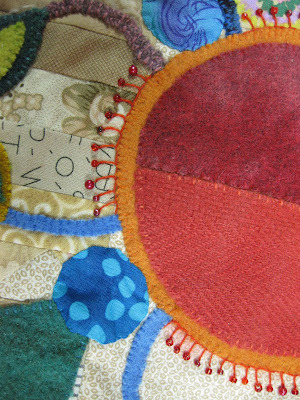 Now I am finishing up a quilt for my new book for spring market. During the last few weeks it has been snowy and cold. Really good weather to snuggle up at home. I have not been traveling to teach but have had a couple of my classes here at home. 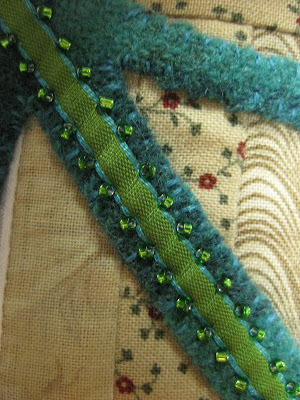 We are working on a new project with more piecing with special attention to embellishment. 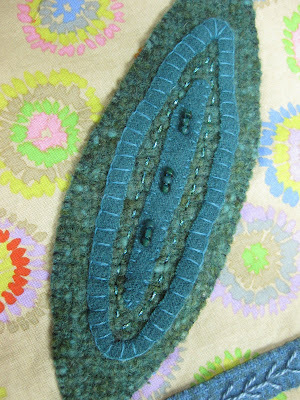 Each month we learn a new stitch and then challenge each other to use it in a unique way. It is such fun to see what each student comes up with. It is amazing to me how much fun you can have with a few unique threads, ribbons and beads. 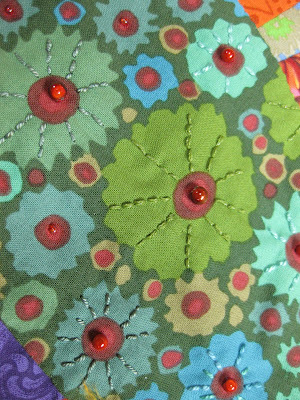 Here is another wonderful way to embellish a printer fabric. This touches make each piece uniquely yours. I am so looking forward to traveling and teaching in 2010 as I feel I have so much to share and love to see the creative pieces my students produce. I am so excited Patty Bommarito from www.PattyPaints.net has just introduced the first eight of my designs in a series of hand painted needlepoint canvases. I am thrill with the way she has interpreted my designs but still been able to give them her own spin. It makes me want to take up needlepoint! This Pineapple Fish scissor Fob is so fun with its polka dot tail. How did she know I love polka dots. Many of these designs were originally pincushions and small wall hangings but Patty has designed them as pictures, small pillows and even a scissor fob. The Rabbit is shown here as a canvas and also stitched. I hope these inspire you all to keep stitching. 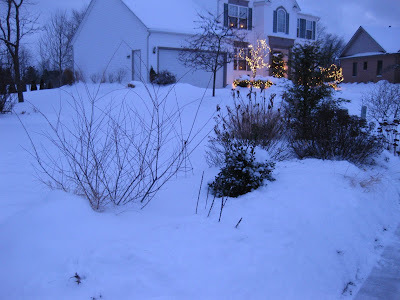 Happy New Year to All from a cold and snowy North East Ohio. I hope that each one of you are blessed in 2010.